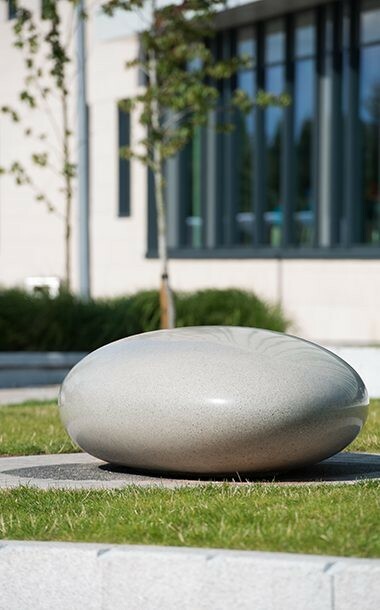 The original sculptural Pebble Seat is made from solid cast concrete and polished to achieve the look and feel of natural stone. 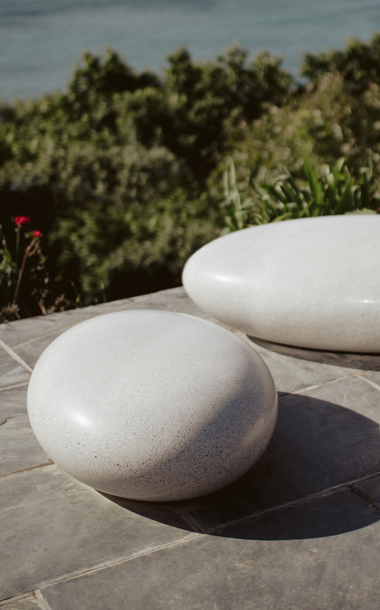 Barrell Pebble Seats are made in a studio and artists workshop, not a factory, and each one is hand cast and hand finished. 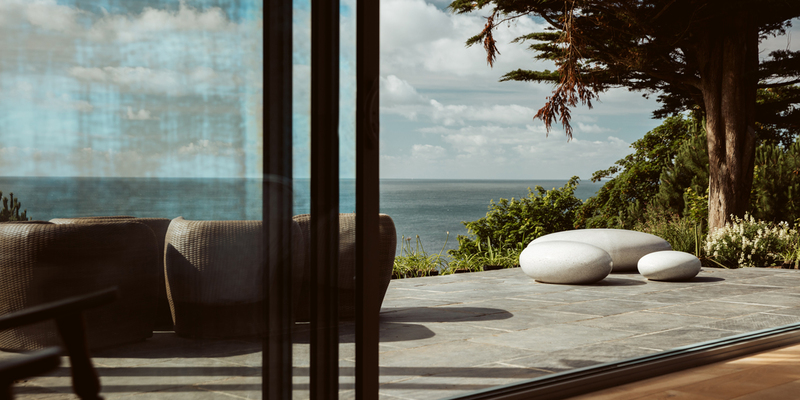 Pico Pebble Seats are equally at home in a public space or a private garden, and will bring a hint of the Cornish seaside to an urban environment. 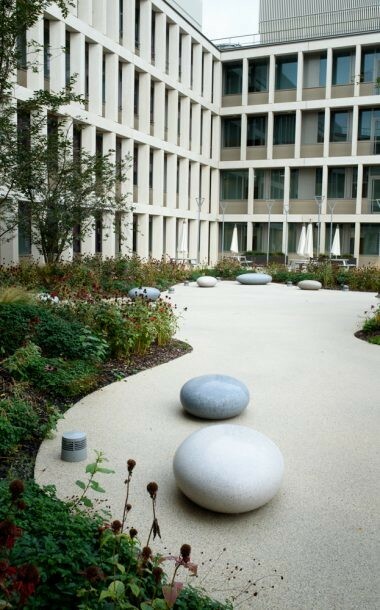 Contact Barrell Sculpture on 01326 373929 or info@barrellsculpture.co.uk for more information or a quote. 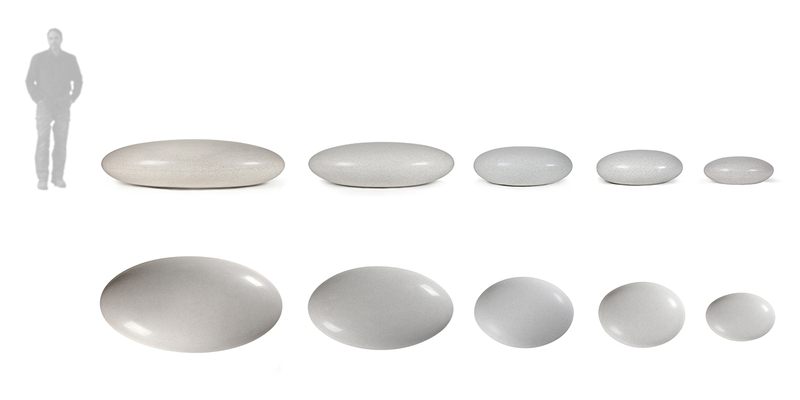 Pico Pebble Seats are oval and come in five sizes and three colours. 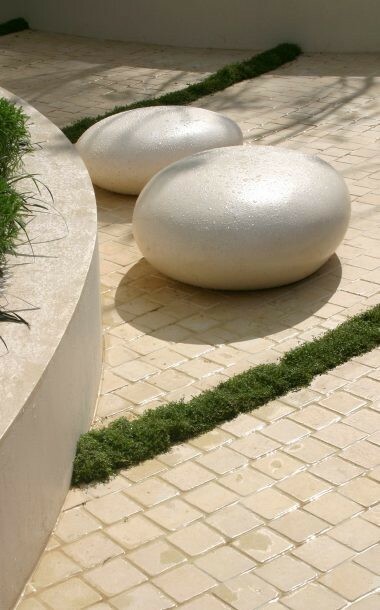 For outdoor seating, they are often specified to be grouped together in an assortment of sizes. Estimated delivery 4 -16 weeks from order, subject to quantity. PLEASE NOTE: November 2018. We have a small number of Pico Pebble Seats available immediately. Please contact us if you have an urgent requirement. 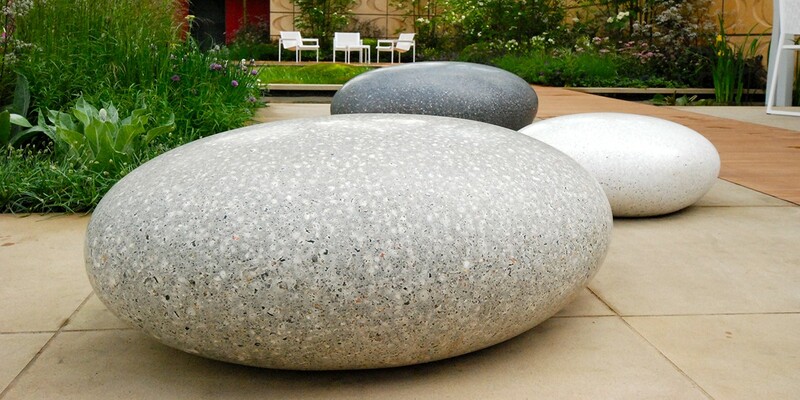 Polished concrete Pico Pebble Seats start at £1,200.00 per unit excluding delivery and VAT or local taxes. Please contact us for more information and a tailored quote.